Summer means vacation time, and nothing says, “Welcome to paradise!” quite like a palm tree. From Waikiki to Mar-a-Lago, the trees' iconic fronds instantly signal luxury, glamor and the good life. 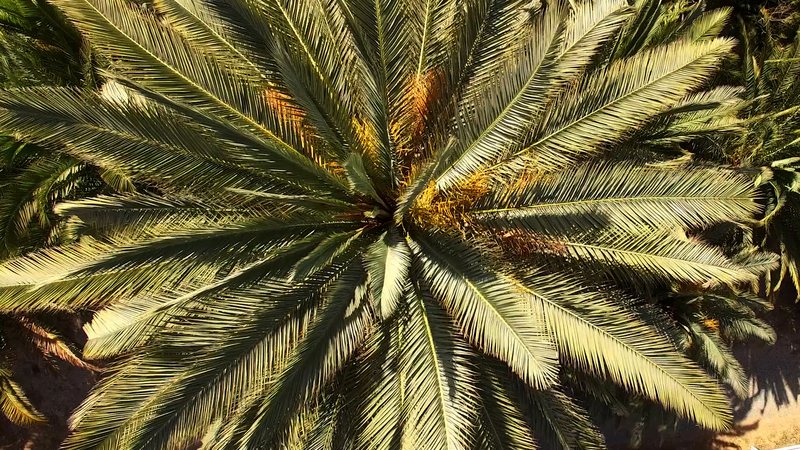 Though it’s home to only one native species, California has nonetheless adopted the palm as one of its quintessential icons. Just turn on “La La Land” and start counting how many you see on screen. But a new snake in California’s palm tree-lined garden may soon put all that myth-making to the test. 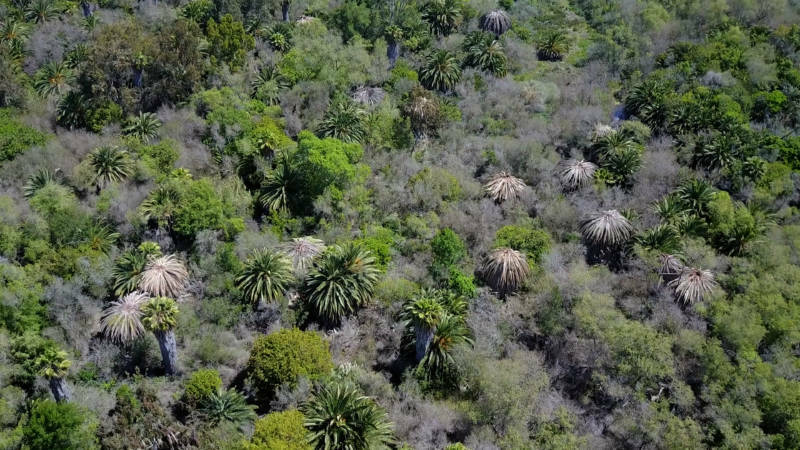 Dozens of palms in San Diego’s Sweetwater Summit Regional Park, about 10 miles from the U.S.- Mexico border, are looking more like sad, upside-down umbrellas than the usual bursts of botanical joy. “They just look like brown starfish,” said Mark Hoddle, a biologist at the University of California, Riverside’s Center for Invasive Species Research. The offender is the South American palm weevil, a recent arrival to the U.S. that’s long been widespread in the tropics. 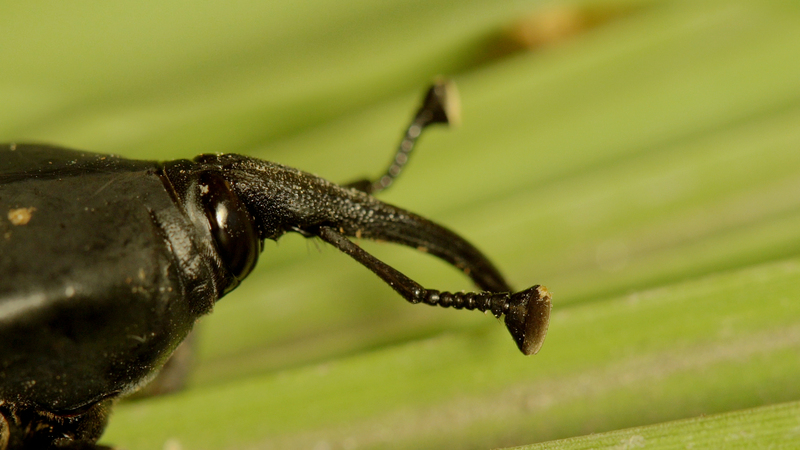 Large, black, shiny and possessed of an impressive proboscis (nose), the weevil prefers the king of palms, the Canary Island date palm, also known as the “pineapple palm” for the distinctive way it’s often pruned. A palm tree is basically a gigantic cake-pop, an enormous ball of veggie goodness on a stick. The adult female palm weevil uses her long snout to drill tunnels into that goodness—known to science as the “apical meristem” and to your grocer as the “heart” of palm—where she lays her eggs. When her larvae hatch, their food surrounds them. And they start to eat. As its leaf-sprouting heart shrivels, the ailing tree takes on the characteristic wilt that Hoddle has observed in the Sweetwater palms. 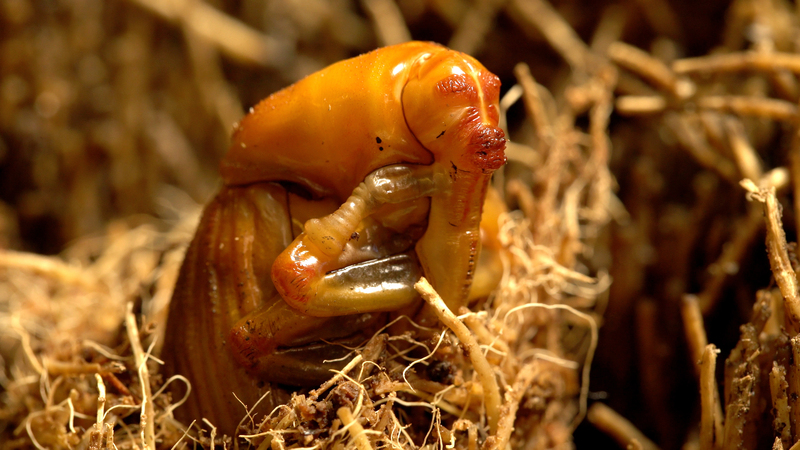 Inside, the weevil larvae grow into pupae, mature inside cocoons and depart on the wing to a fresh host. Left half alive, the palm can never regain its splendorous form. From aerial surveys conducted by drone, Hoddle estimates that more than 50 trees have been hit in Sweetwater Summit Regional Park. Other suspected infestation zones in San Diego, including the extensive Otay Valley Regional Park seven miles south, and the county’s innumerable streets, parks and golf courses, remain unsurveyed. The total number may be closer to 150. South American palm weevils are vulnerable to pesticides, but once the eggs and larvae are inside the tree, they’re just about impossible to find. Pesticides work better as a preventative measure sprayed on neighboring trees to keep the adults away. Mark and his research partner (and spouse) Christina Hoddle have seen it happen before. In 2010, an arborist removing an unsightly palm in Laguna Beach, California, discovered beetles and larvae in the tree litter. The adults were distinctive, even beautiful, for their red markings. Three months later, a beetle was found on another sickly tree less than a tenth of a mile away. The beetles in Laguna turned out to be the red palm weevil, a separate species related to the current San Diego invader. 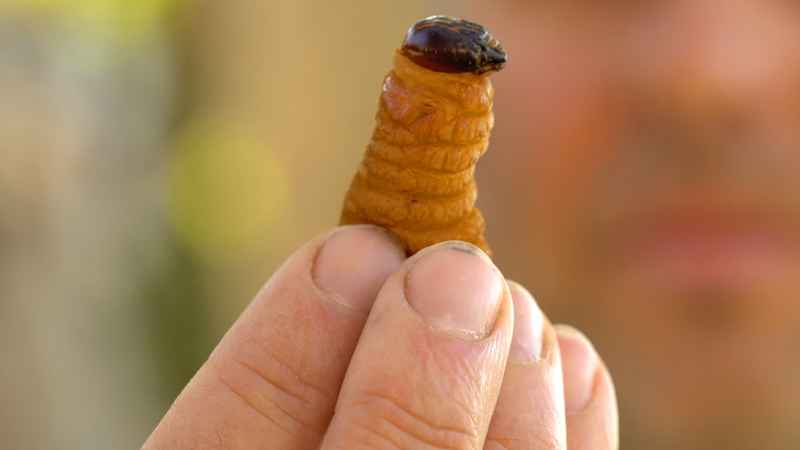 “It’s the world’s most devastating pest to palm trees,” said Hoddle. How that weevil got to Laguna remains a mystery. The nearest population is in Bali, an impossible distance for a weevil to travel on its own. So it had help getting here—possibly onboard an imported palm, though the FDA has had a ban on such imports in recent years. The Hoddles suspect that Laguna’s red palm weevil may have been brought in deliberately by other means—such as in a suitcase, possibly as a food source. Around the world, the yellow-bodied, red-headed larvae of many weevil species are a culinary delicacy harvested from afflicted wild palms. Laguna was lucky. As an isolated outbreak, the infestation was containable. The city’s $1 million eradication program included two tree removals, and preemptive chemical spraying on thirteen more. The plan took three years to be declared a success, when no new weevils turned up in that time. Also lucky in the Laguna infestation was California’s $34 million date industry, centered in Indio, not to mention the much larger ornamental trade, valued at $70 million. With this new weevil threat in San Diego however, that luck may be running out. Rather than an isolated appearance, this outbreak marks the leading edge of a probably irreversible expansion by the weevil. The Hoddles believe that it’s hopscotching north, from tree to transplanted tree, on its own wings. If the South American palm weevil consolidates its foothold in California, then the worst might still be to come. While these weevils generally stick to the Canary Island palms, they can harbor a parasitic worm that causes red ring disease—a fatal infection that can strike almost any palm, including the state’s precious native, the California fan, as well as more commercially valuable trees. So far, no red ring disease has shown up in California. Just across the border, Tijuana is already in the shadow of the South American palm weevil’s spread. Last year Mark Hoddle took an informal survey of Tijuana’s streets by car and found a chilling view of the future. In eight hours he counted 140 dead trees, some with only a scant few grey fronds, others so long dead and dry that they’d caught fire. At the moment, no eradication efforts are underway in San Diego, though the Hoddles continue to monitor the situation while conducting research on how far and fast the weevils spread. Their preliminary data suggests that the adult weevils can fly between two and 15 miles a day. That means, from the current infestation sites, most of San Diego is an easy leap for them. “It may only occur when they have killed everything locally and need to disperse to new pastures,” Hoddle said.